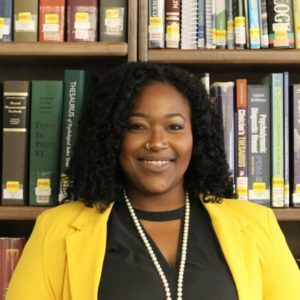 Dr. Johnson joined the Michigan School of Psychology as a Core Faculty member in 2018. Prior to joining MSP as a Core Faculty member, Dr. Johnson was a student in both the full-time MA and doctoral program. In his clinical work, Dr. Johnson has provided extensive therapy services at chronic pain clinics, private practices, and psychological evaluations for individuals suffering from neurological disorders. Dr. Johnson completed his internship at Neurobehavioral Consultants where he facilitated both individual and group psychotherapy along with receiving extensive training in neuropsychological assessment. He has experience in working with adolescents, young adults, and couples along with training in treating individuals suffering from chronic pain, anxiety, depression, and interpersonal issues. 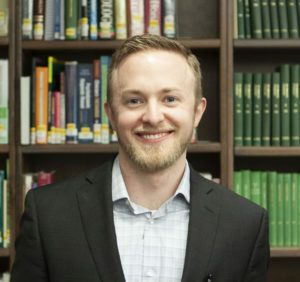 Dr. Johnson is a published author, researcher, and presenter in several areas of psychology, including sexual identity theory, life satisfaction, sexual self-concept, video games, and aggression. Shepler, D. K., Johnson, K. P., & Ho, M. A. (2015, April). Comparing Sexual Esteem, Sexual Anxiety, and Life Satisfaction across Sexual Orientations. Poster presented at the 87th Annual Meeting of the Midwestern Psychological Association, Chicago, IL. Johnson, K.P. (2015, May). Video Games and the Catharsis Hypothesis. Poster presented at the First Annual Research Symposium at the Michigan School of Professional Psychology, Farmington Hills, MI. Johnson, K. P. (2016, May). Assessment Via the Internet. Poster presented at the Second Annual Research Symposium at the Michigan School of Professional Psychology, Farmington Hills, MI. Shepler, D. K., Johnson, K. P., Fano, S. (2016, August). Planning for a future: Predictors of Retirement Planning in the LGB Community. Poster presented at the 124th annual Convention of the American Psychological Association, Denver, Colorado. Width, A. A., Shepler, D. K., Johnson, K. P., & Zoma, P. N. (2017, April). Comparisons of desired loving behaviors across sexual identity and gender. Poster presented at the 89th Annual Meeting of the Midwestern Psychological Association, Chicago, IL. Shepler, D.K., Johnson, K.P., & Width, A.A. (2017). Risky Sexual Behavior and Knowledge of HIV/AIDS Transmission in a Community Sample: Sexual Orientation, Race, and Gender. Journal of Social, Behavioral, and Health Sciences, 11(1), 1-16. Shepler, D. K., Johnson, K. P., & Ho, M. A. (2017). Exploring Sexual Self-Concept in a Community-Based Sample of LGB and Heterosexual Adults. Psi Chi Journal of International Research, 22(2), 98-105. Based on my experiences of working with students in a professionals role, I believe that professors at MSP hold students to the highest of expectations while bringing consistency, diligence, and warmly to the classroom. Providing real-life examples of situational circumstances while creating an atmosphere that is conducive to engaging student curiosity and learning is something that I strive to accomplish. Practicing psychology should first and foremost be informed by psychological research and theory to provide a solid foundation to work from. Competent professionals understand this and should attempt to use this knowledge to work with all clients. What advice would you give to a student entering the Michigan School of Psychology? Your classmates are going to be your biggest support and friends during your time at the Michigan School: get to know them! During my time as a student, my classmates and cohort members were invaluable. Use them!